Maeve Hickey is an artist and photographer whose work in many media ranges from mysterious and luminous figures that inhabit intimate dreamscapes to moving photographs and assemblages that arise from a profound engagement with place and people, especially the Mexican/US borderlands and Ireland. She has exhibited extensively in Europe and the United States, and has been Visiting Artist and Fellow in many institutions. 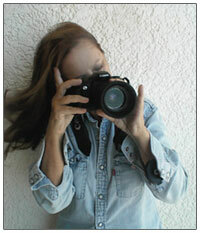 Her photographs have appeared in numerous articles. Maeve Hickey's work is represented in institutional and private collections in Ireland, France, England, Belgium, the United States, and Mexico, including the Embassy of Mexico in Ireland and The United States Embassy in Ireland. While she is well known for her photographs of the US/Mexico borderlands, Maeve Hickey lives in Ireland, and she travels between her studios in Westmeath, Ireland and Amado, Arizona.